Known for its outstanding natural beauty, the island of Ko Samui lies some 700 km (430 mi) south of Bangkok and features a palm-fringed coastline and hillsides shrouded in virgin rainforest. Take a trip to Ko Samui to discover a heaven for kayakers, snorkelers, and nature lovers of all ages. Together with about 60 other islands, Ko Samui is part of a sprawling marine national park sheltering a diverse wildlife that includes fish, frogs, otters, dolphins, monkeys, bats, turtles, iguanas, cobras, and hogs. 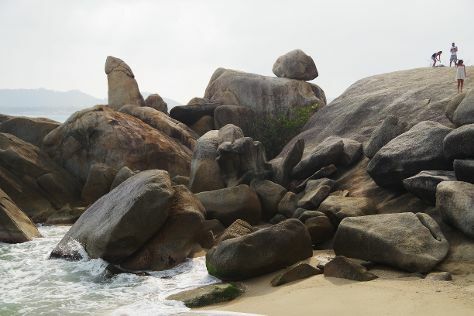 Although you can tour Ko Samui's developed beaches in a few hours by car or motorcycle, the island is still large enough for serious adventures in the wild. Ko Samui is in Surat Thani Province. Take a peek at our international travel planner: Ko Samui and its charms laid bare and easily scheduled.